To insure that public health issues are adequately considered in land use planning decisions. Consult with developers and interested citizens about environmental and health related impacts of development proposals. Testify at the City or Laramie County Planning Commission meetings, City Council and Board of Commissioner land use hearings about the public health aspects of development proposals. Does the Department of Health and Environment review all land use proposals? The Department reviews most land use proposals submitted to either the City of Cheyenne or Laramie County Planning Departments. As a concerned neighbor, can I get a copy of the Department's report on a land use proposal? Yes, comments prepared by the Health Department are public records. Contact the office at 307-633-4090 if you would like to obtain a report on a specific development proposal. 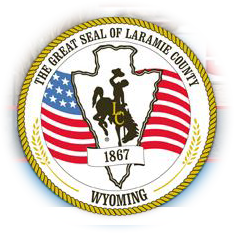 Comments are also provided to the planning departs at both the City of Cheyenne and Laramie County. What are the specific topics that are considered by the Environmental Planner in reviewing development proposals? The list of topics varies according to the type of development that is proposed. In county subdivision the provision of water and sewer systems and water pollution impacts are the most important issues. The department may also comment on mosquito breeding, accessibility to recreational amenities, nuisance violations etcâ€¦ Environmental Health also tries to make all developments aware of any regulations and licenses required that may affect the development. What kind of information needs to be considered in planning a new residential subdivision that will use septic systems for sewage disposal? Site conditions that affect the operation of septic systems include the type of soils that are present, the depth to the groundwater table, the depth to bedrock and the presence of surface water such as lakes or irrigation ditches. With a thorough knowledge of site conditions, subdivisions can be designed to take advantage of the best soils for treating sewage while avoiding problem conditions such as high groundwater or irrigation ditches. Some of the options used in the subdivision design process include clustering, variations in lot size, and creation of open space in areas not suitable for septic systems. Environmental Health will require copies of the DEQ Subdivision review data for developments of more than five lots.